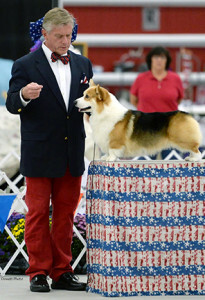 This is me with Dad at the Pembroke Welsh Corgi Club of America‘s National show this September in St. Louis. This was the Made in America Sweepstakes where I won the Western Division. 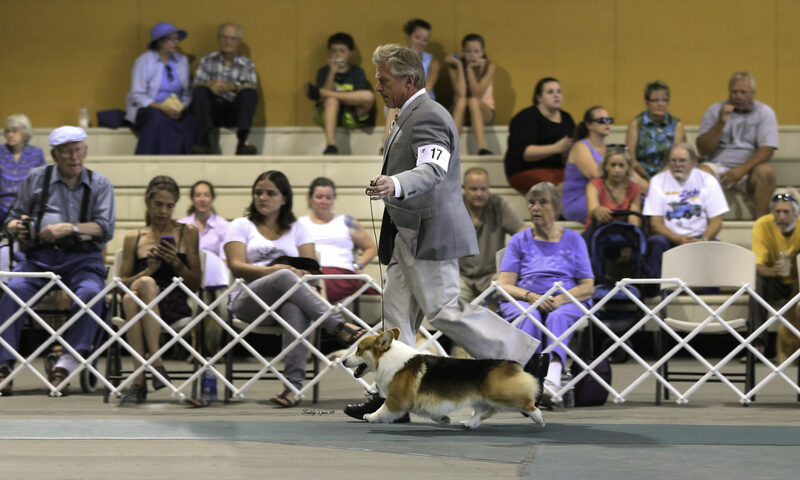 I like the picture because it also shows Mom in the background. This is from a wonderful photographer and a Corgi Mom herself. Previous PostPrevious A Group Two in Oregon! Next PostNext What IS This Snow Stuff? !